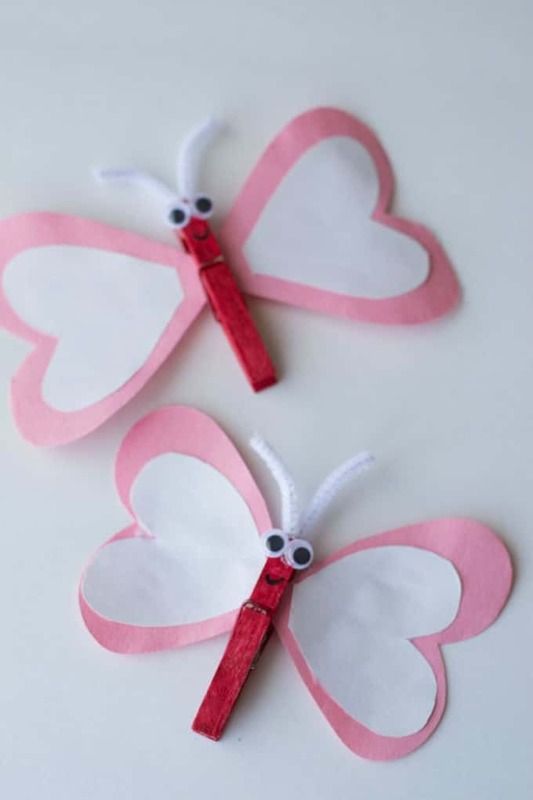 This sweet little heart butterfly craft is a fun idea for Valentine’s Day. 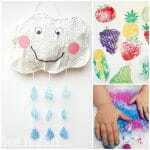 Aside from the painting and drying, you can put this together in just a few minutes, and that’s a winner for any busy mom (and kid). 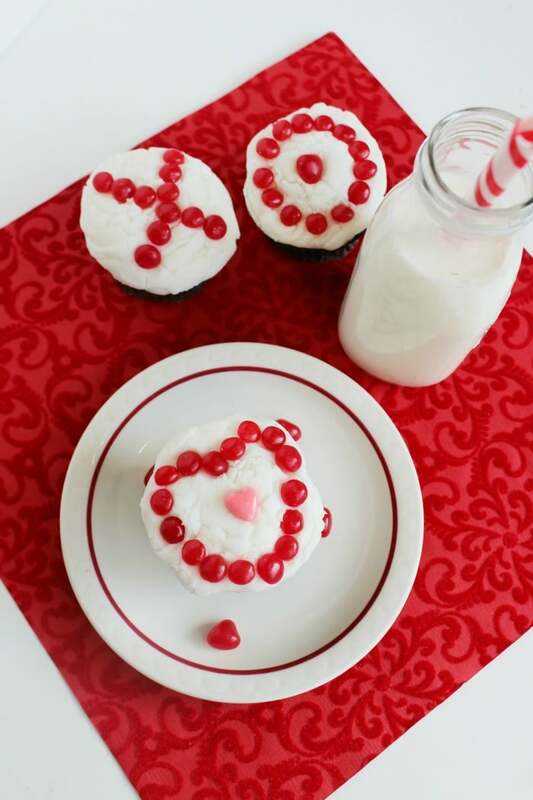 And while you’re here, you don’t want to miss our other easy valentine crafts for kids, either. 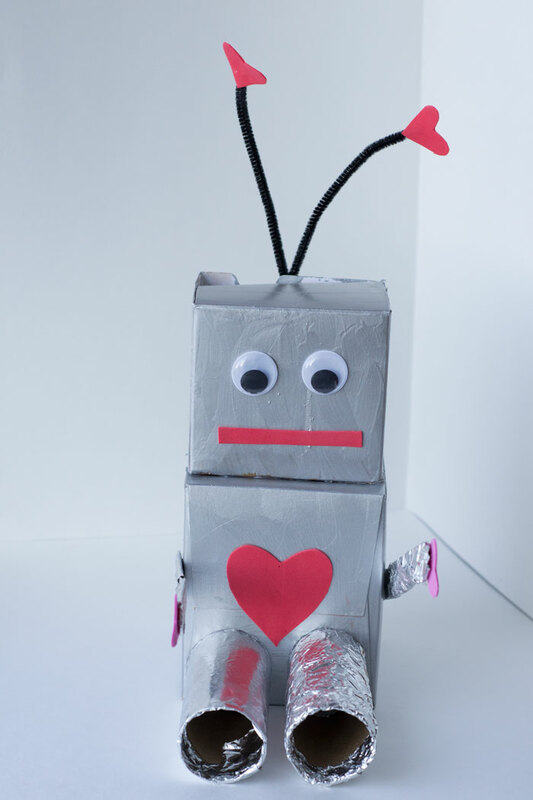 Lots of cute ideas there! It has been snowy and absolutely frigid here the past couple of days. While the kiddo and I did head outdoors for about 20 minutes, the wind chill is just too vicious for much outside play. So, we’ve turned to crafting to keep our hands and minds busy. 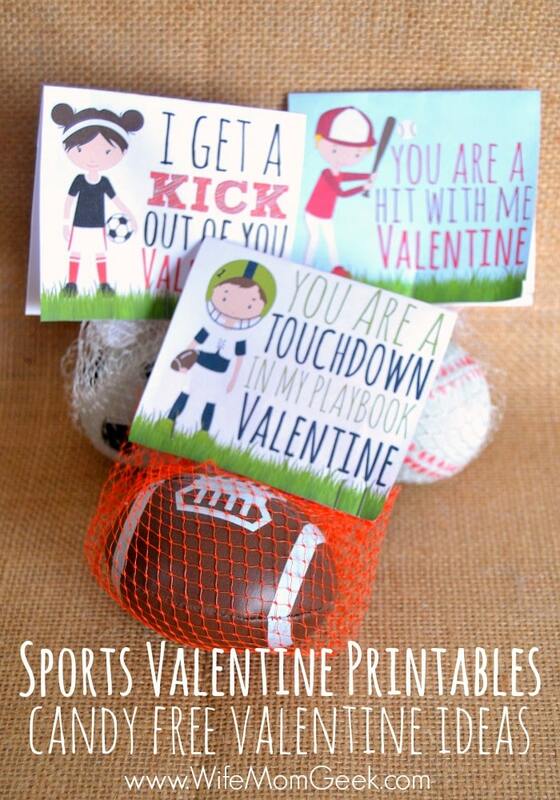 And with Valentine’s Day right around the corner, we decided to work on some fun ideas for that holiday. Paint the clothespins red, and allow them to dry thoroughly. 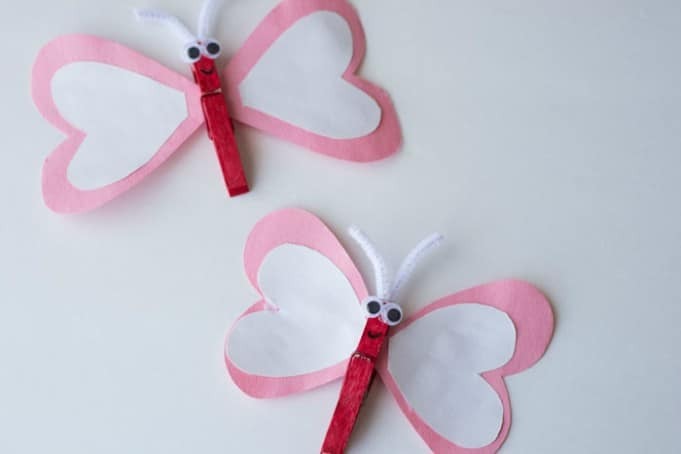 While those are drying, cut out heart shapes (connected in the middle) from pink and white construction paper. 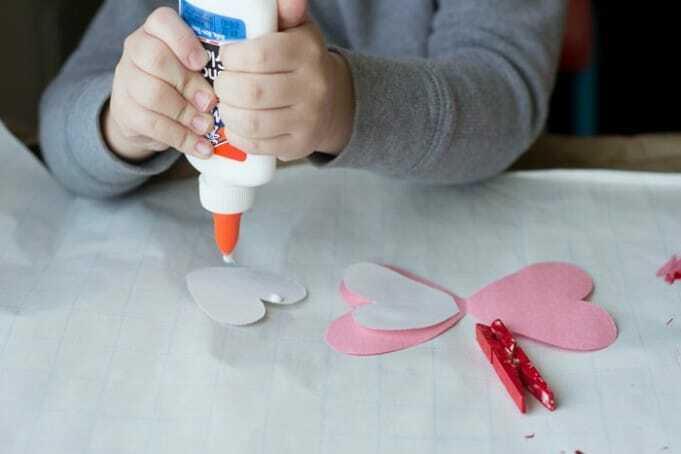 Glue the smaller white hearts onto the larger pink hearts. Pinch them with the dried red clothespin. 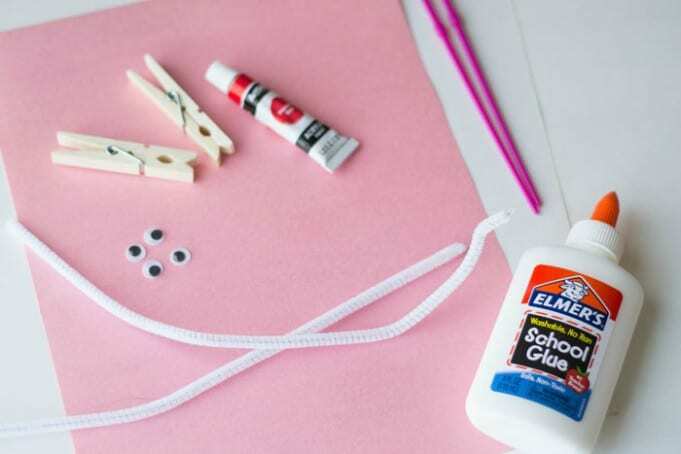 Use your hot glue gun to attach the googly eyes and pipe cleaner antennae. You’re all done! 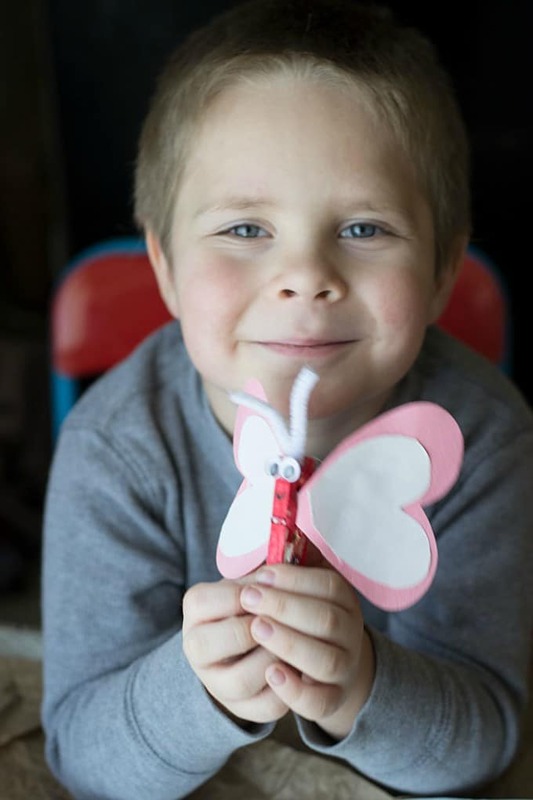 Play with your heart butterflies or give them to your little sweetheart. 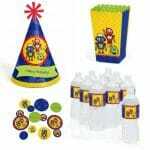 Isn’t this the cutest little thing? 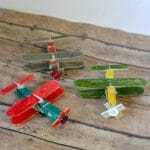 As you can see, our son had a fun time flying them around the house after we finished. He presented them to his dad when he got home from work because dad is his “best friend.” Aww.